Tenants pay a landlord rent in exchange for the right to reside in the landlord’s property. Even though the tenant does not own the property, they do not give up all of their rights when they sign their monthly rent check. Tenants in the state of Arizona are offered certain protections under Arizona’s landlord-tenant act. Here are ten basic rights of tenants in the state of Arizona. This Act protects tenants from being denied housing based on any of these factors, as well as from discriminatory renting practices, such as charging a higher rent because a tenant is of a certain race or increasing a tenant’s rent because they have children. Tenants with children are offered an additional protection under Arizona Statute 33-303. A landlord cannot deny a prospective tenant the right to rent a unit based solely on the fact that he or she has a child or children. Under the law, this would be considered a “petty offense.” Also under this provision, a landlord may not allow a tenant with children to rent a unit in an Adults Only Complex. Landlords in the state of Arizona have the right to collect a security deposit from a tenant. Tenants in the state of Arizona also have rights when it comes to the collection, maintenance, and return of their security deposit. Landlords in Arizona cannot charge a tenant more than one and a half times the monthly rent payment as a security deposit unless the tenant voluntarily agrees to pay more. Tenants in the state of Arizona have the right to a walk-through inspection prior to moving out. During this inspection, the landlord or the landlord’s agent will walk through the unit and make note of any damages or other reasons deductions can be taken from the tenant’s security deposit. Upon move out, tenants have the right to the receipt of the portion of the security deposit that is owed back to them within 14 business days of their move out. For more on Arizona’s security deposit law, please see Arizona Security Deposit Law. Tenants who have been victims of domestic violence have the right to terminate their rental agreement. The tenant must provide written notice to the landlord with certain documentation which supports their claim of domestic violence, such as a copy of a protective order. The situation must usually have occurred within 30 days of the tenant giving this notice. The landlord and tenant must then agree on a date for the termination of the lease, which will not be more than 30 days after the landlord receives the tenant’s written notice. The tenant will only be responsible for paying rent up until the date of the lease termination. They will not be responsible for any early lease termination fees and are entitled to the return of their security deposit, minus any lawful deductions for damages. In Arizona, tenants have certain rights when it comes to bed bugs. A landlord in Arizona must provide a tenant with educational material about bed bugs. A landlord may not allow a prospective tenant to move into a rental unit with a known bed bug infestation. If the tenant is aware of the infestation, the tenant cannot move their possessions into a unit with a known bed bug infestation. A tenant who has bed bugs must alert the landlord immediately of the infestation. Tenants in the state of Arizona have the right to the private enjoyment of their dwelling. The landlord, however, is lawfully allowed to enter the unit at certain times. The landlord must usually provide the tenant with at least two days’ notice before they can enter the tenant’s unit. In emergency situations, the landlord does not have to give advanced notice. The owner of the property or the person or persons who are authorized to act on behalf of the owner for all legal correspondence, notices and maintenance requests. This disclosure must be made by the landlord or landlord’s agent, in writing, before or at the beginning or tenancy. A tenant in Arizona is protected from landlord acts of retaliation. An example of a retaliatory action could be a landlord raising a tenant’s rent after the tenant complains to the town about a health or safety issue. In cases where a landlord has tried to cut off essential services to a tenant, such as gas or water, the tenant could be awarded up to two times the actual damages. Under Arizona statute, a tenant has the right to withhold rent or make deductions from their monthly rent if certain repair requests are not met by the landlord or completed in a timely manner. In Arizona, tenants have the right to receive a Notice to Quit before they face lease termination or eviction. Depending on the offense, the tenant will usually have between five and ten days to remedy the behavior or face termination of lease or eviction. Tenants can face immediate lease termination for actions that jeopardize the health and safety of the landlord or other tenants in the property, such as selling drugs or prostitution. 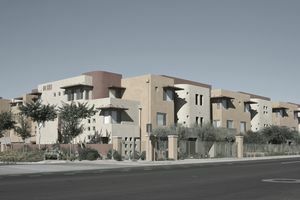 Tenants in Arizona have the right to certain disclosures about rent. This includes how and when the rent will be paid, penalties for nonpayment of rent, any applicable late fees and the process for increasing a tenant’s rent. For the original text of Arizona’s landlord-tenant act, please consult Arizona Statutes §§12-1171 to 12 1183 and §§ 33-1301 to 33-1381.